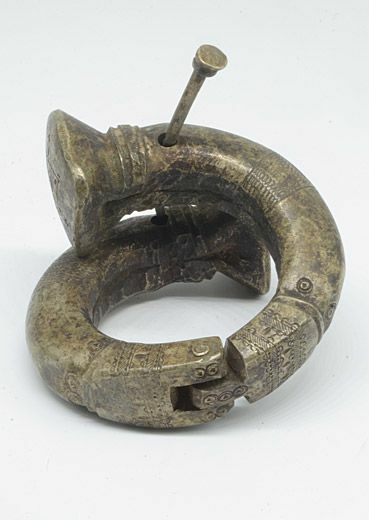 A two part hinged bracelet from the Haussa in Niger. The bracelet can locked by the pin. It is finely decorated with circular and geometric patterns.